It's fair to say I didn't know what I was doing when I first got Soba as a pet. I had only recently found out that you could even get hedgehogs as pets, and I made the decision to buy him one late Friday night in the pub, several drinks down. Fast forward a few weeks later and I had just collected the grumpiest little hedgehog, who huffed and puffed the whole journey back to Edinburgh on my lap. His first night I woke up to the sound of tiny footsteps running through the hall, as he'd already worked out how to get out of his house. The second night, he fell asleep on my lap (the only time he ever fell asleep on me!) and I knew we'd be alright. 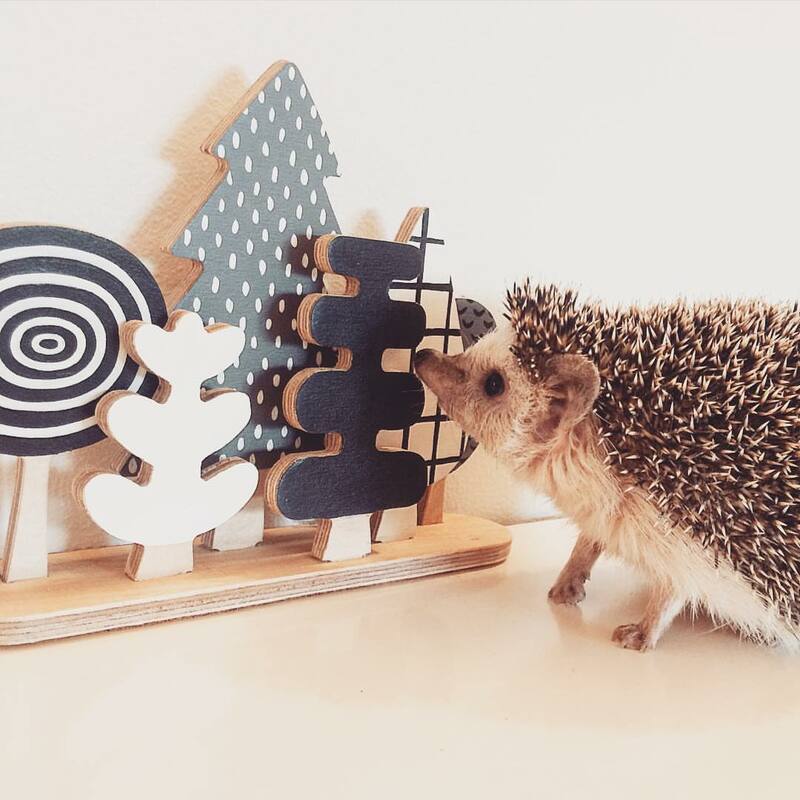 Hedgehogs take patience. They're wild animals, and they haven't been kept as pets that long, so they aren't naturally tame. They're covered in spikes and pack a nasty bite, although hedgehogs are unlikely to bite through aggression, instead smell and taste are how they explore the world (so you've got to keep an eye out in case a curious hedgehog wants to find out how you taste!). They are nocturnal, so you can only hang out with them at night, and there's no guarantee they'll ever be happy to be held. But oh, they are adorable. It took, literally, years to get Soba to like me. But bit by bit we got there. He learned the sound of my voice, and that I wasn't a scary predator out to get him. He'd be patient enough to be held, but was always happiest when he was running. 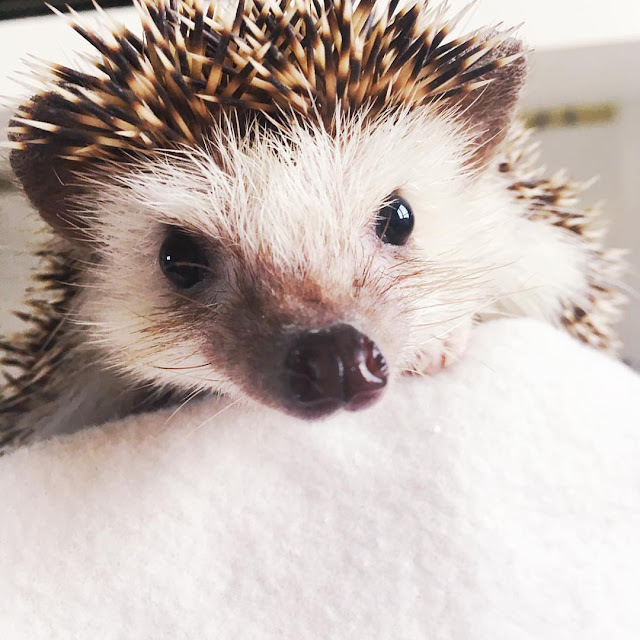 He litter-trained himself (what a clever hedgehog), so he got free run of the living room at night, going in or out of his house as he liked, via a giant cardboard tube that was the perfect size for him. We made mazes and hedgehog obstacles for him to play in and explore, and he was brave and curious and perfect. Soba was almost 4, and I was starting to worry about what might happen at the end. African Pygmy Hedgehogs on average live around 3-6 years, and I just hoped, whatever happened, would be quiet and pain-free. It was not to be. Older hedgehogs can have trouble with their eyes, and within a very short space of time poor Soba went blind in one eye, and then scratched the other in a small injury that suddenly turned very dramatic. In the course of a week, everything changed. Our little pal stopped running, he lost a lot of weight, and his world wasn't going to be the same. The vet was very kind and helpful, but it was quickly very clear that there was only one thing to do. It's hard to explain the bond with a pet, never mind the bond with a small, spiky animal, but I'll try. He fitted perfectly into my life. He was curious and so, so cute, and worth every minute it took to win him round. He was a wonder, and in the end, he learned to be patient when handled by people he didn't know, who were so pleased to get the chance to hold a hedgehog for the first time. He was little, but I loved him so, and I am so incredibly sad that he is gone. For such a little thing, the flat feels so quiet without him. It's been weeks, and I still go to check on him at night, and spot phantom movements in the corner of my eye that look just like an exploring hedgehog. There's no sound of small paws pattering on the floor. I know he had a good life, but I miss him so. 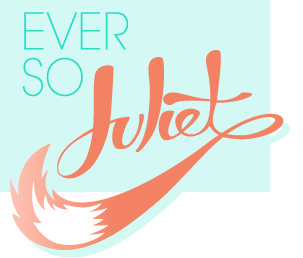 I'm sorry Juliet! I remember when you got Soba. He was a handsome wee beast and you gave him a happy life.